The 6245 Series Insert Surface Planer is designed for use in a variety of applications in addition to surface planing. The unique insert design makes this a great tool for rebating, jointing and grooving up to 35mm in addition to surfacing in solid wood, panels and composites. With two reversible tips cutting on the periphery and two center tips for plunge and bottom cutting, routing a large gullet area becomes easy as the body design provides optimal chip removal. 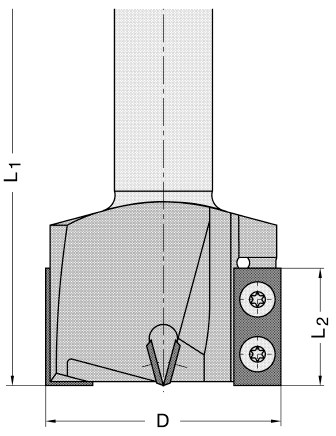 For axial plunge cutting operations exceeding 10mm, the spindle speed should be reduced to 12,000 RPM. Reduce your tooling inventory and tooling cost substantially while improving efficiencies with a tool that offers a constant cutting diameter, economical inserts, rigid tool body construction and provides an excellent finish result! Does your CNC machining process call for cutting rebates or shallow grooves? 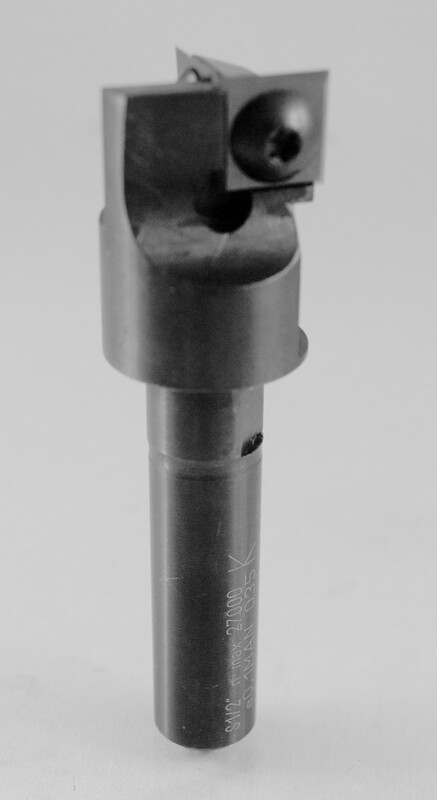 Our 6219 Series Insert Router Bit is designed to provide the benefits of carbide with the cost savings of insert tooling. This 1+1 flute tool offers a dedicated down shear plunging insert, and a main cutting insert that produces an excellent finish on laminate, hardwoods and coated surfaces. 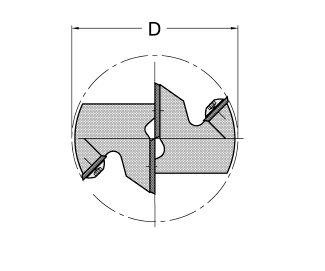 This bit is especially suitable for grooving, rebating and cuts in door production with hinge and lock pockets, face plates, fixing straps for floor sealings, etc. Reduce your tooling inventory and tooling cost substantially while improving efficiencies with a tool that offers a constant cutting diameter, economical inserts, rigid tool body construction and excellent finish results! Interested in more information? Give us a call at 1-800-544-8436 or contact us now!